The many recognized styles of parenting are enough to make a well-meaning parent's head spin. There is no right way to parent, and different styles of parenting will work with every child. While there are many variables in individual parenting styles, most differences center on two areas: discipline and parental involvement. Knowing your general parenting style will make you more aware of what works and what doesn't. Parents who use the strict parenting strategy focus on setting rules and expecting children to follow them or face punishment. Often, parents do not provide children with an explanation of why certain rules exist, and when rules are broken, little leeway is given. Strict parenting is designed to raise children who respect rules and authority figures. Are You a Strict Parent? Do you say "because I said so" a lot? Do you tell your child what to do rather than giving options? Do you punish a child without discussing the reasons for the punishment? Do you see you self as the leader of the home? Do you expect your children to listen to you no matter what? The benefit of strict parenting is well-behaved children who follow the rules. However, strict parenting can also have its consequences. This method of parenting often involves very little warmth or affection, causing some children to feel unloved by their parents. Since strict parents usually make decisions for their children, it may also keep children from making decisions for themselves. Authoritative parents, on the other hand, are much more democratic than strict parents. While these parents do enforce rules, they are more likely to listen to their kids' opinions. Conversation is usually two-way, with give and take on each side. Parents often have a few rigid rules and boundaries, and leave other areas open for discussion. Are You an Authoritative Parent? Do you involve your child in the rule-setting process? Do you give your child room to make mistakes? Do you discuss the consequences of an action? Do you focus on your child's positive behaviors more than negative behaviors? With authoritative parenting, children learn that they have some responsibility for their actions. Parents focus on positive behaviors, giving kids' self-esteem a boost. Kids also learn to understand the consequences for negative behaviors. However, it can be difficult for children to understand that some rules and punishments are not up for discussion. Permissive parents have an "anything goes" attitude towards child rearing. These parents are often their kids' best friends. While permissive parents are warm and loving, they may fail to set boundaries for their kids. Children in permissive households are usually free to choose their own mealtimes, activities, and bedtime. A modern spin-off of permissive parenting is free-range parenting, where parents allow children to make a lot of decisions for themselves rather than telling them they are too young, not big enough, or suggesting they won't like something. Do you let your children go places alone or do things on their own? Do you rarely tell your child "no"? Do you allow your children to face natural consequences for their actions? Do you teach your child not to blindly follow authority? Do you frequently bend the rules? While children learn to be independent and develop less fear with permissive parenting, it can be hard to get a child to follow rules in situations when it is necessary. Children do not understand when parents step in as authority figures. Attachment parenting is a style of parenting that focuses on the parent-child relationship. Parents strive to be warm and responsive to their kids' needs. The belief is that many behavior problems disappear when parents and children are in sync. Are your children encouraged to express their needs? Are emotions, good and bad, expressed freely? Do your children co-sleep with you? Do you often carry your children, rather than push them in strollers? Do you use a lot of positive touch? When attachment parenting is used, children feel loved and understood. They regularly seek their parents' advice. However, children can become dependent on their parents, often into adulthood. Attachment parenting can also be extremely hard on parents, especially during the teen and adult years when children naturally want to pull away and experience some independence. Is My Parenting Style Working? Do my children treat each other with respect? Do they treat me with respect? Do my children seem happy most of the time? Am I involved in their daily life? Do I spend more of my time talking to my children than at them? Do I rarely need to punish my kids? If you answered each of the questions positively, your parenting style is probably working fine. However, if you answered even one of the questions negatively, you may want to take a step back and look at your parenting style or try to incorporate elements of different parenting styles to help make improvements in your home. Only one style of parenting is truly ineffective, and that is uninvolved parenting. These parents pay very little attention to children in any way, aside from meeting their basic needs for food, shelter and clothing. As long as you take the individual needs of your child into consideration, any other type of parenting can be successful. You may be more of a permissive parent with one child and take on a strict parenting style with another child. 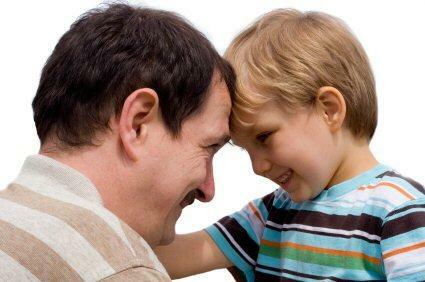 It all depends on your child's emotional needs and how he responds to rules and discipline. Whatever style you choose, remember to let your child know he is loved and make all of your parenting decisions with the best interest of your child in mind.